The International Criminal Police Organization (INTERPOL) recently withdrew an arrest warrant against Teodoro Nguema Obiang Mangue, Second Vice President of Equatorial Guinea. The international search and arrest warrant charged Teodoro Nguema Obiang Mangue with failing to appear in court in response to a summons that was part of the investigation spurred by a lawsuit filed in France by Transparency International against several African Heads of State. The arrest warrant was ordered last year by two French judges. Last month, a United States federal judge granted the Vice President’s motion for summary judgment, which dismissed the U.S. government’s claims that the Vice President had violated the laws of Equatorial Guinea. The judge ruled that the U.S. government did not have probably cause to bring those charges. Last year, INTERPOL blocked a request from a French investigating magistrate for an international arrest warrant for the Second Vice President. 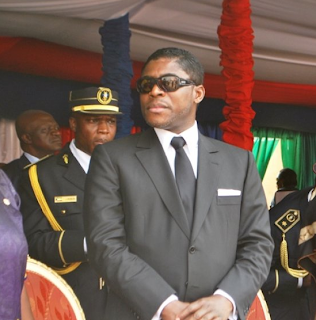 The International Criminal Police Organization, INTERPOL, announced it had ended the dissemination, conducted at the request of France, of the arrest warrant issued on July 2012 by two judges in Paris, against His Excellency Teodoro NGUEMA OBIANG MANGUE, the Second Vice President of the Republic of Equatorial Guinea, on charges of failure to appear to a summons, to be heard as part of the investigation into the lawsuit by Transparency International against several African Heads of State and their entourage. The Republic of Equatorial Guinea welcomes this decision. The Republic of Equatorial Guinea has always stated that both the summons and the arrest warrant were contrary to International Law, which confers absolute jurisdictional immunity to the Heads of States, as various jurisprudence cases of the States consider regularly, as does the International Court of Justice of The Hague. INTERPOL's decision, if it were necessary, confirms that the arrest warrant violates International Law, so that this organization cannot execute it. The Republic of Equatorial Guinea is satisfied that the Law has been applied and trusts that, because of the appeals presented, both in France and in the International Court of Justice, that a flagrant violation of the fundamental principles of the Law and international relations between sovereign States can be ended. While the Republic of Equatorial Guinea respects the independence of the French courts, however, it understands that the Law must be respected and is surprised that in France there is still this clear violation of international law, and even more so in a case initiated by some NGOs whose motives are clearly political and aimed at destabilizing the institutions of the Republic of Equatorial Guinea.